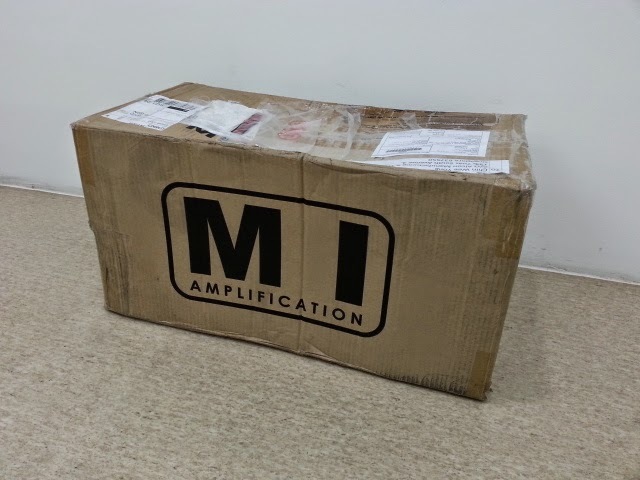 TNT just delivered this MI amp all the way from Sydney to my work place. I had put a lot of effort to push TNT must deliver to me today. 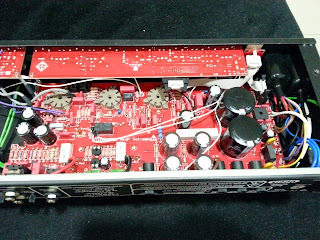 The amp was well packed by MI audio, corner protector and poly foams were used. Here is my Megalith Gamma, an Aussie made amplifier. I had finally pulled a triggered during this Christmas Sales session. Megalith Gamma, 80w is a "simplified" Megalith Beta, 160w but it has all the tone of its big brother. however the 3 EQ voicings and 3 position "Bright" switch makes the Clean channel is versatile enough. 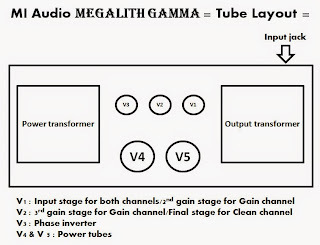 Compared to Megalith Beta, Gamma has a high voltage solid state transistors to buffer the FX loop. 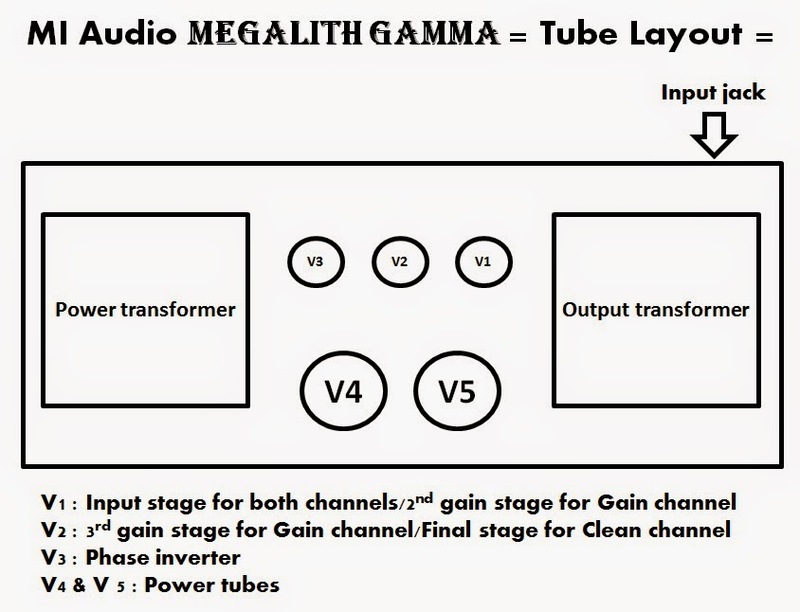 I don't need massive 160w output headroom and tube buffered FX loop, that are why I have chosen Megalith Gamma. I had Michael to sign on my Megalith Gamma, approved by the "BOSS" ! Michael Ibrahim from MI Audio is a great person to deal with him for sure. Check out the MI Audio website for more details. 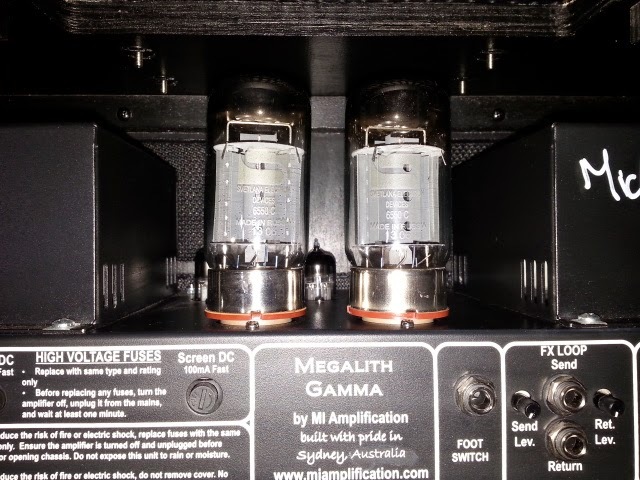 Megalith Gamma is running with a pair of Svetlana 6550 power tubes, made by New Sensor Corp, in Russia. 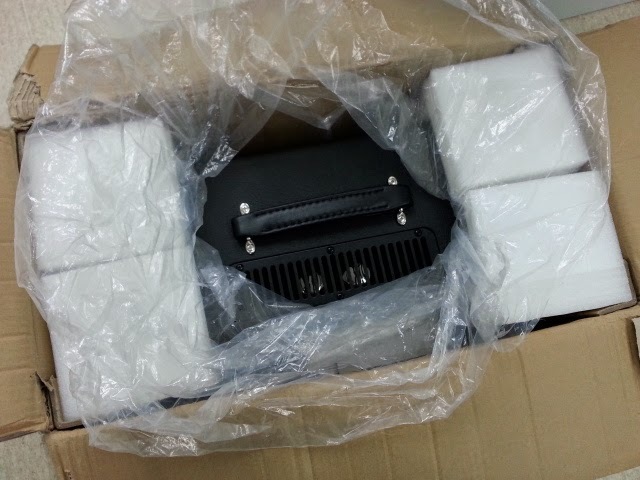 You can also use KT88, KT90, KT100 or even KT120 (a plate dissipation rating of 60W) !!! 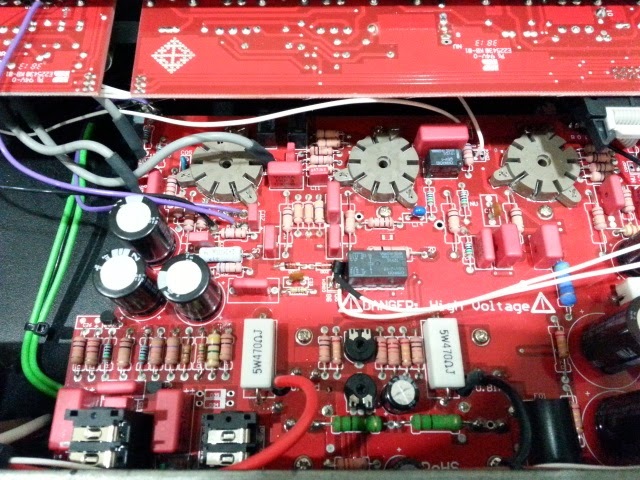 The plate voltage of Megalith runs at close to 700V which might not good for EL34, 6CA7 or KT77. 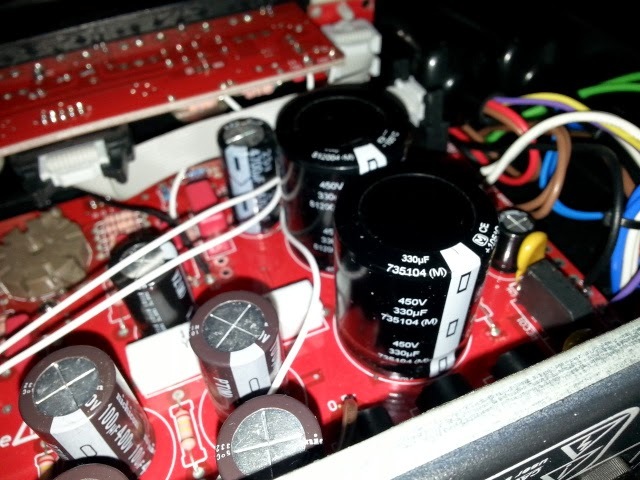 3 preamp tubes - JJ ECC83S, Sovtek 12AX7WA and Sovtek 7025/12AX7WB. 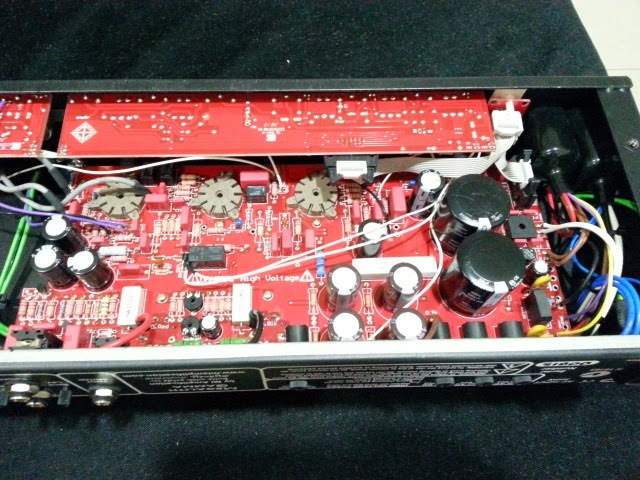 This is my first amp comes stock with "Cocktail" preamp tubes set. You can easily adjust "Send Level" and "Return Level" of the FX loop. There are two modern toroidal transformers for both power and output transformer. They are custom built overspec'd for MI audio amplifiers to work under worst-case conditions. "Hand built with pride in Sydney, Australia" !!! 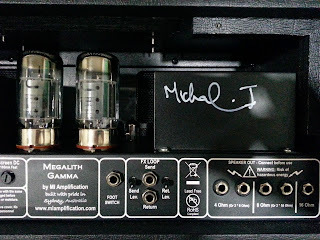 Megalith Gamma is one of the best amp from my high gain monsters collection. from Mesa/Boogie, Marshall, ENGL, Diezel, Randall MTS, Krank, Bogner, VHT/Fryette and 5150/6505. but the 3 EQ voicings, 3 bands EQ and "CONTOUR" working extremely well together. 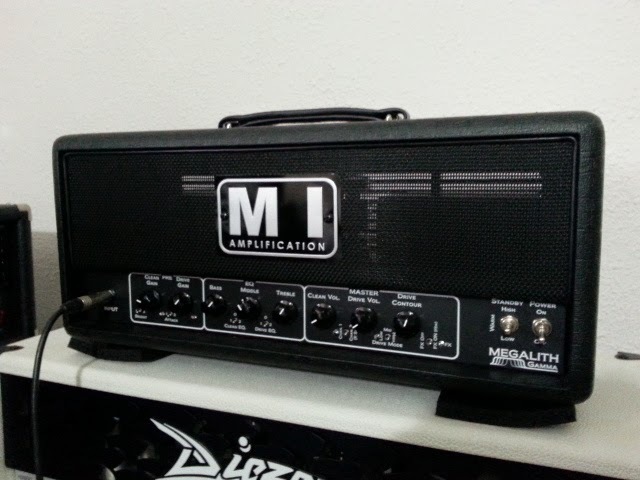 You definitely can get super versatile overall tone control between vintage and modern range from MI audio Megalith. and most powerful tone shaping control that I have ever used before. 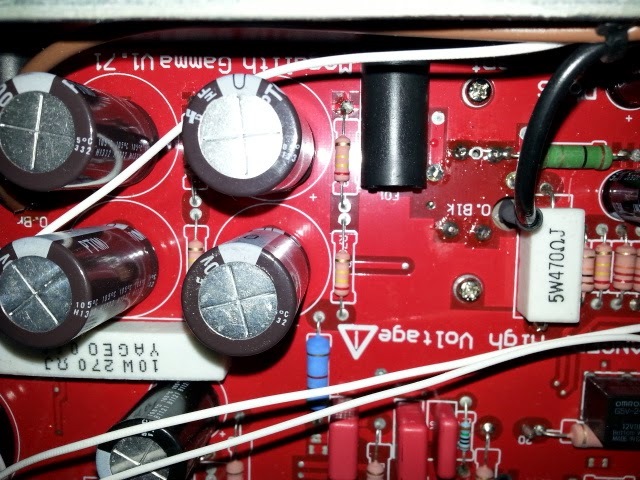 Awesome circuit design, Michael !!! 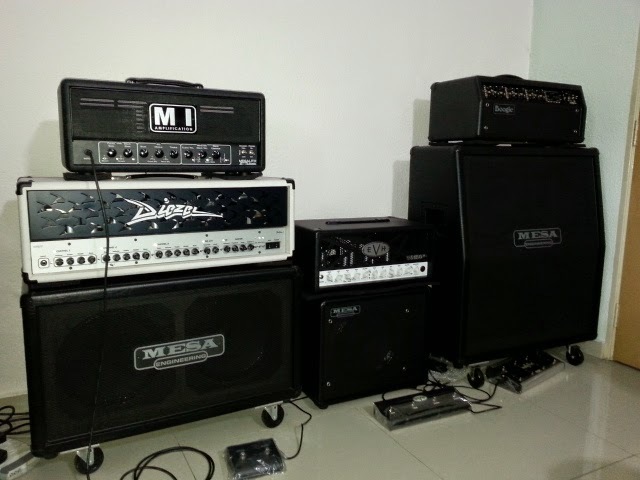 Below is a sound clip to compare my Megalith Gamma with Diezel Herbert. 16 Gauge Galvanised Steel Chassis. 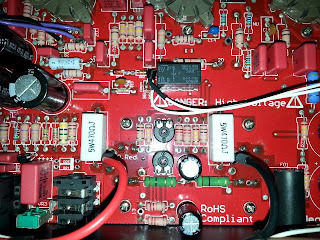 Thick 2.4 mm double-sided through-hole PCB’s with 4oz plated tracks. High end audiophile German made WIMA polyester and polypropylene capacitors. Two bias trimmers. You don't have to use matched pair of power tubes. 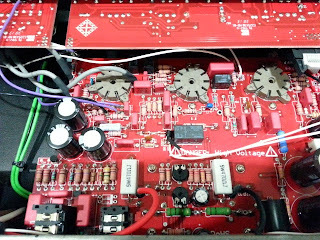 What a badass looking and sounding amplifier. 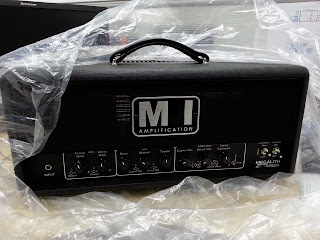 I am seriously considering this as my next amp. 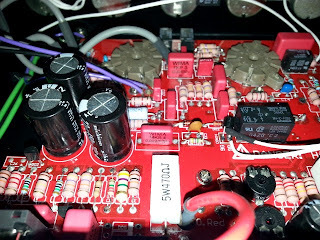 I currently own an ENGL morse and Mark V. Killer amps but need something with a cutting high presence while sounding organic and not compressed.